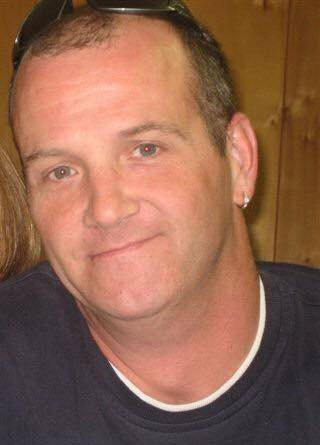 James “Michael” Wills, age 49 of Beech Grove, passed away on Sunday, August 19, 2018 at his residence. Michael was born on November 20, 1968 in Lake City to the late Roy Everet and Sandra Faye Duncan Wills. Michael passed away unexpected in his sleep early Sunday morning. He had a kind and loving heart. When his cousin, Sandy Foster needed a kidney transplant he graciously gave her one of his. This kind and humble act of kindness extended her life for several years. We were blessed to have known and shared our lives with such a kind and loving person. He never met a stranger, which is something he took after his dad. He loved to tell stories, cracking jokes, making people laugh and smile. He was a hard worker and helped out anyone whenever he could. He worked several fast food places and was working at Sonic in Lake City at the time of his death. He was a member of Beech Grove Baptist Church in Lake City. In addition to his parents, Michael is preceded in death by his brother, Roy Lee Wills, grandparents: Albert and Minnie Wills, Manuel and Jean Duncan, Russ and Faye Duncan Torres; and special cousin: Sandy Wills Foster. Michael will be missed by many friends and family members. Visitation: 11-1 PM, Saturday, September 1, 2018 at the Beech Grove Baptist Church in Lake City. Memorial Service: 1 PM, Saturday, September 1, 2018 at Beech Grove Baptist Church in Lake City with Rev. Kenny Sharp and Rev. Floyd Scarbrough officiating. In lieu of flowers, the family respectively requests monetary donations to help with funeral expenses.